Here in Europe, at least in some parts of it including Hungary, this week was fall break. This meant I had a whole week off from work and I was going to take advantage of it. My first stop was Germany. 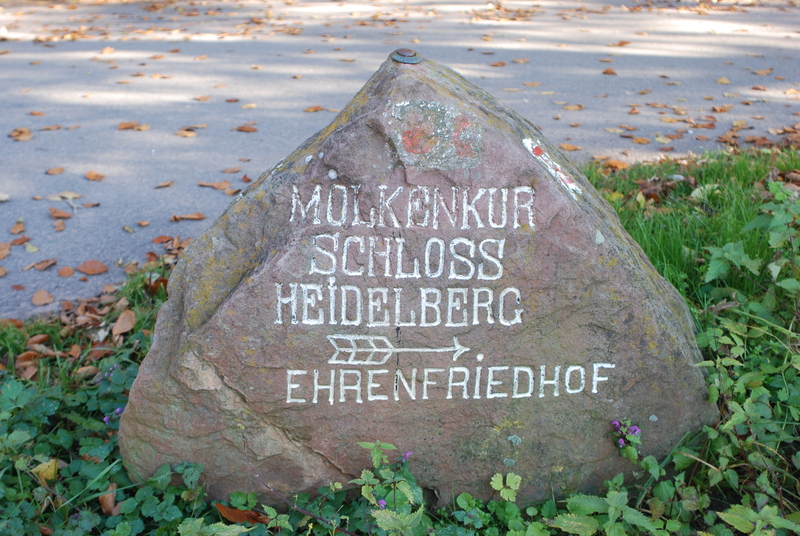 It’d been a while since I’d been to Heidelberg – almost a year in fact. So I was a bit nervous. I was nervous flying in and nervous on the Lufthansa Bus for the 50 minute ride from Frankfurt…I needn’t have been. When Claudia and David pulled up She was smiling and David was waving his arm like a crazy kid so all was good. We hugged hello, piled into the car and headed for their new place. Truth be told, it wasn’t far from the old place and yet, even though the old place was right across from the river and a grassy area, here we started my stay by trying to rescue a hedgehog who was wandering the streets! Our good deed done, we headed inside, put the child to bed and then talked until 3 in the morning. It was good. It had been too long since we’d actually spoken and I missed it. Of course, somewhere in that conversation (or maybe it had been in a text exchange leading up to the visit, I don’t know) I said I would get up on Saturday morning with David so Claudia could sleep in. This was okay. I get up early anyway and it would be fun to take David to the bakery and get rolls for breakfast and hang out. Except of course, nothing works the way you think it will. Sure, I got up and D. and I went out to the bakery (he even told me the right one to go to) and we got our rolls and headed back home…which was locked. No problem, I had taken the extra key. Except I had left the other key in the lock on the inside and that trumped my key on the outside so we were locked out. No problem, we would just ring the doorbell and wake Claudia up. Needless to say, D. and I grabbed a soccer ball from the basement and ate our rolls on the field while we kicked a ball around for an hour. By the time we were finished, we were able to get back in the house and on with the rest of our day, which was rather domestic, really. We went downtown, did some shopping, had a pizza and then headed for home (with a stop at Woolworth’s to get D. a set of devil bunny ears and German colored sweat bands. The kid’s got style, I’ll give him that! Also on Saturday I took a shower. Now normally this isn’t news but this was the first real shower I’d had in 2 1/2 months and it was glorious! Claudia’s new flat has a really modern bathroom, complete with heated tile flooring. Honestly, I probably spent twice as long as I should have letting the water run over me and then standing in bare feet on the tile. So then, Sunday was a day for rest and relaxa—what am I saying? With an eight year old, R&R is a myth on the scale of Greedo shooting first! Instead, on Sunday we decided to go up the mountain to visit this little fairy-tale amusement park D. had been wanting to see. We rode the funicular up (and let’s face it, funicular is fun to say – even has “fun” right there in it!) with the proviso we would walk down. Of course, on the ride up, David decided he was going to be like Joe Strummer on the “Rock the Casbah” video – he just did not want to be photographed! This led to some great shots of him with his stripy hat pulled over his face, though, so I think it was a win/win. The park was nice… and D. liked it so that was good. For the adults it was a little weak. The totally unsafe bumper cars were a blast and the pedal operated dragon was fun, but like I said, he had fun so that was the point… Then came the walk down. It was long and tiring and we kept having to get out of the way of the crazy people riding their bicycles down the mountainside at serious breakneck speed. I swear it’s amazing one of them didn’t take a total header and destroy something. We spent the evening at home, playing games and just chilling out. This was good since Monday morning (All Saints Day – a National Holiday) was going to be an early one. D. was starting a camp during his fall break from school (he had it too) and Claudia and I were heading to Baden Baden (about an hour away) to check out the Miró exhibit at the museum there. Baden Baden is beautiful beautiful (I had to… you know I did!) It’s like the Sedona of Germany (with healing spas instead of lay lines) and thankfully, all the shops were closed because we couldn’t afford to walk in, let alone actually buy anything. The museum itself is amazing. Really well designed, light and easy to see everything. And Miró…what can I say? I’ve always enjoyed his work, but now I have a much greater respect for him as a man. Of course, since everything was in either German or Spanish, I couldn’t understand anything. Claudia got the audio guide and would listen and then tell me the salient points so I could get most of it. It was fun, though, to play art critic before she listened and then see how close we came. We actually did pretty well. Monday night was another evening of games (They had some very cool games – one where we built medieval villages and one where you had 9 blocks of wood and had to create structures from a design on a card within a time limit). Tuesday morning and again, we were up early, but this time it was so I could grab a cab to the bus to the airport. My vacation was only half over and, after a brief stopover back in Budapest, I was heading to Geneva, Switzerland!